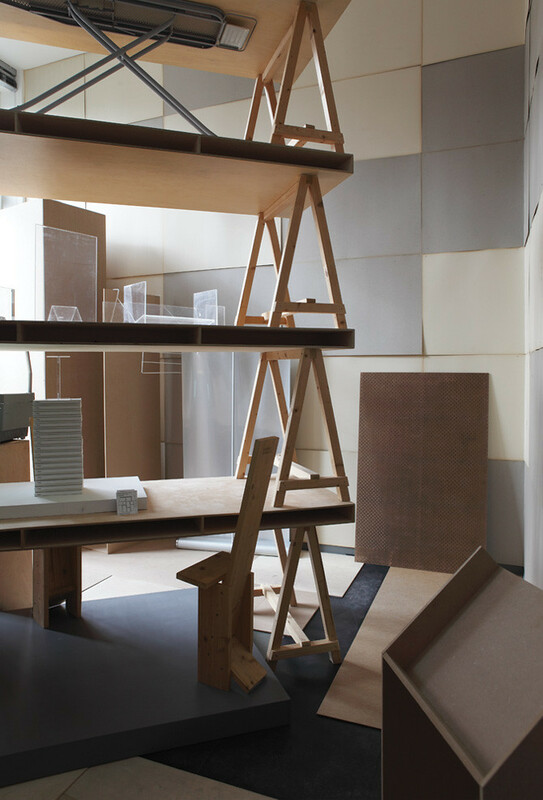 Anna-Lena Werner: Matylda, you are a trained designer but your work crosses the act of curating and art-production. Which discipline feels most familiar to you? Matylda Krzykowski: I think my strongest engine is my intuition. Sometimes the curatorial aspect is stronger, other times I think very much like a designer. Ultimately, I don't think in disciplines. I think in tools and how I can appropriate these for what I do. Maybe context is the right term to use here. While curating, you are making context. While designing, you ideally produce for a context. 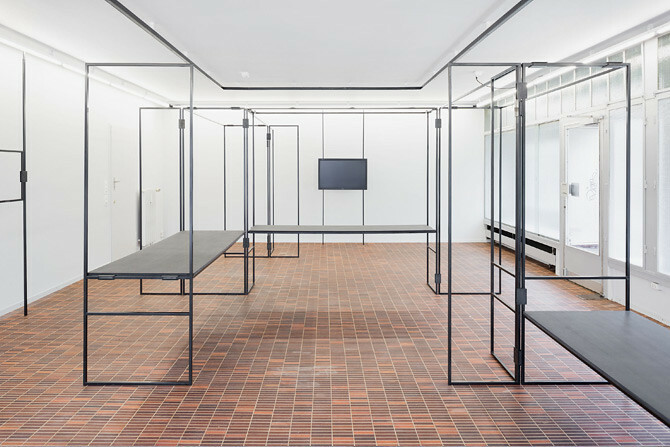 Anna-Lena: How much are you, as a curator and co-director of the DEPOT BASEL – Place for Contemporary Design concerned with the communication between audiences and represented objects? Matylda: The response of the audience – or the audience as addressee – is what evoked my interest in the work with spaces. I am against the enforced participatory movement within the institutional agenda, but I am interested in the idea of an exhibition space as a place for public understanding The act of communication should not be underestimated. I am surprised how many people in the cultural field are not able to communicate with the audience. Anna-Lena: Do you think communication is an important part of art and design? Matylda: I think we should communicate a bit less in design for reasons of selling a product, and instead produce work that communicates a need for a more humanistic agenda. Anna-Lena: How do you define a humanist agenda? Matylda: Basically, it is design for the real world, as Victor Papanek suggested in the 70s with the focus on rational alternatives to a consumer society. It involves the conviction that designers are facilitators, who can bring the needs of the people to the attention of manufacturing. The designer becomes a tool in the hands of the people. Or, as Jacopo Sarzi said at Design Date: the designer of the future should be like Mary Poppins - he or she will be there when needed. Anna-Lena: You showed a spatial installation during the Jan van Eyck Open Studios. Were strategies of communication involved in the one year that you spent in Maastricht? Matylda: I am interested in the model of theatre, especially in contemporary theatre, such as the productions that Kaserne Basel presents. What strikes me is that there is a whole production led by one director and as a visitor you are being served. No description boards, no exhibition text, no curatorial speech, no images. Since I did a lot of research in choreography, theatre and exhibition making during my time at the Jan van Eyck, my work hasn't been very visible. I mostly created databases that I saved on my laptop. Until the final exhibition my studio was empty, as I wanted to use the time to think for myself without feeling the need to communicate all I am doing. And then at the end you are supposed to make your work visible. Anna-Lena: What was the concept of the installation? Anna-Lena: So that the act of presentation becomes the content of presentation? Anna-Lena: Although you say that you wanted to break the white cube, it still looks really clean and neat. How do you evaluate the role of visual aestheticism? 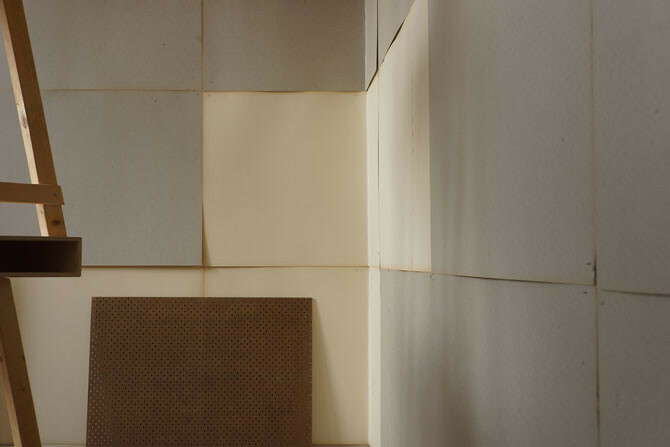 Matylda: Let's say, I wanted to construct a spatial installation, a dense room. There is a language in my work that is certainly aesthetic, but I am not justifying the content of the work to reach that goal. 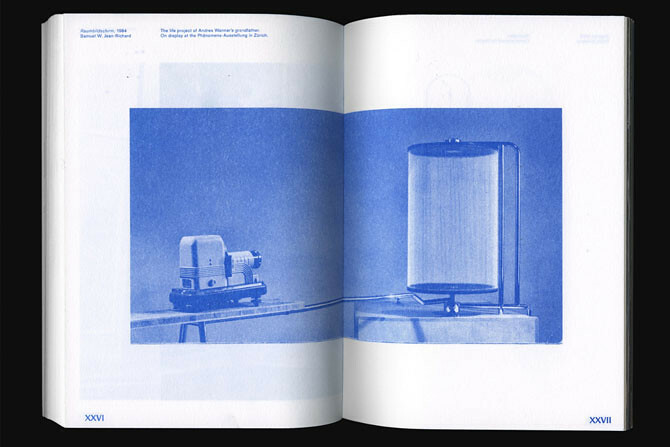 Anna-Lena: A previous and elaborate project that you did with Depot Basel ended in a hand-printed publication about the display. It gathers contributions from more than 50 participants. Why are displays so fascinating to you? Matylda: It was part of my research at Jan van Eyck and became a Depot Basel project. I am intrigued by the many methods of display. And how the curator, paradoxically, is not doing anything else than displaying. But because it happens in an institutional context it produces a different meaning. For the installation I didn’t want to show something that is presented on a surface – on a display – but to rather show the display itself. But after I began researching, I generated so much content together with my collaborators like Jasio Stefanski, Josh Bitelli, Cedar Lewisohn, Bill Balaskas and Stefan Pabst , so that a publication made sense. 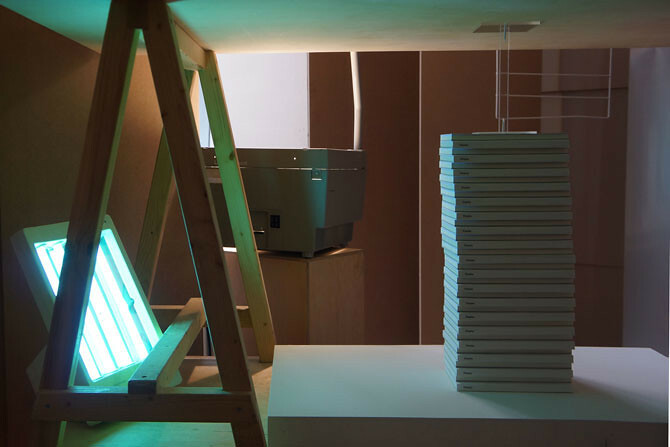 The installation was the next chapter – a physical and visual translation. Anna-Lena: Are you planning to do another project about displays? 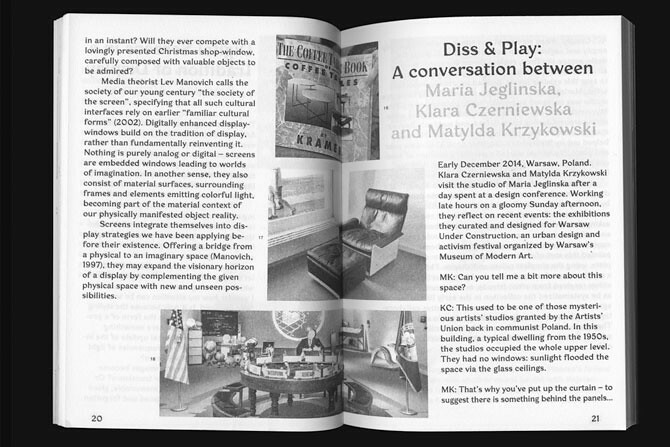 Matylda: We actually formulated a long-term exhibition format at Depot Basel with the title 'Display’. 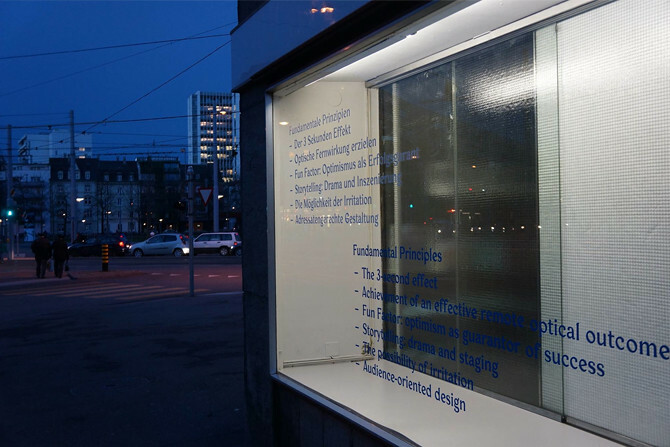 For the next edition we asked Raeuber & Stehler to define the former shop windows of our current space. It will be a show that lasts a month and is accessible 7 days a week. Anna-Lena: Your practice doesn’t only focus on communication, but also on collaboration: like, for example, with DESIGN DATE. 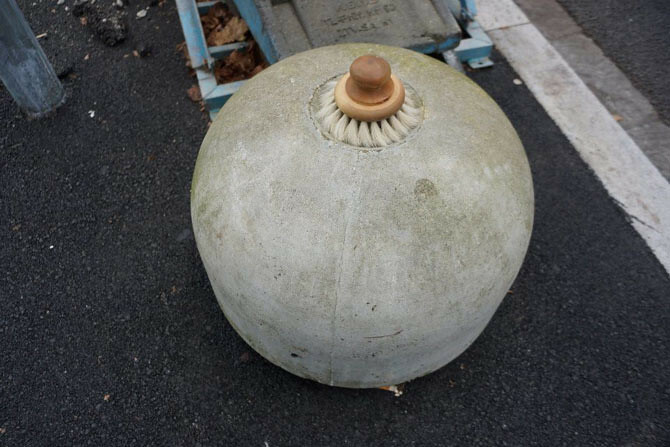 What is it about? Matylda: Do you remember the TV dating show Blind Date where people look for a romantic partner? When Depot Basel was asked to host a talk or a lecture at the V&A I suggested to look into the mechanism of how people decide to work together – how charming and being charmed can influence this decision. When do we start believing in someone? It was quite a long process to prepare it, as choosing the actors for the stage and bringing it all together was challenging. I had no idea how it will work because we didn’t rehearse it before. Since I now see clearly what could have been done better and since I am interested in group-dynamics, I would like to do it again. Anna-Lena: What are your upcoming projects? 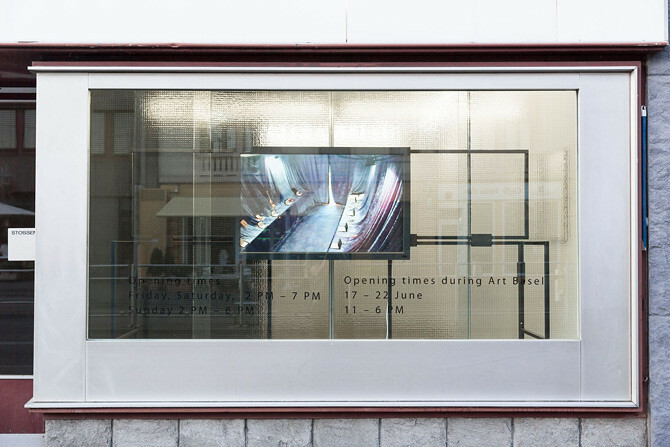 Matylda: In June Depot Basel opens a show called 'The Collective Intention’. It is interesting to see how that the concept of the collective is coming back. Fluxus and De Stijl were collectives and became art movements. In the last decades the individual was in focus, but now designers and artists look for collective opportunities again. The exhibition will have commissioned work, a visual manifesto of each of the collectives that we invited, and a historical layer that will look into the past. For example Collective Disaster, Wndrlust and Juice & Rispetta will we part of it. In September we are opening an exhibition project in the Vitra Design Gallery that will be on show during the Bauhaus exhibition at the Museum. 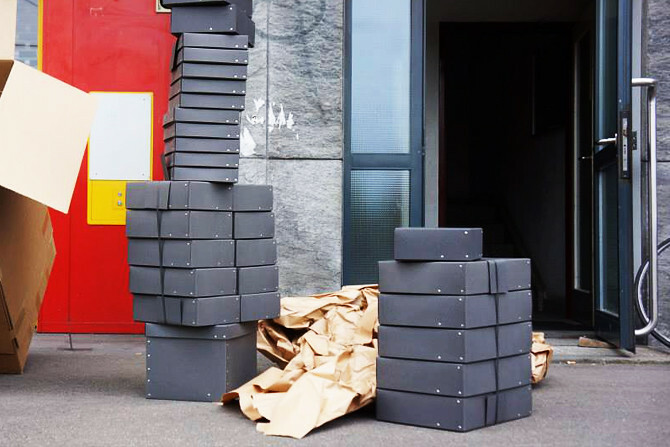 In the same time we will have an exhibition at Depot Basel. It will be interesting to deal with two places and use them for the same idea, while the content will be different but focusing on the need of an common attitude in design. And if I could, I would make an exhibition like a theatre play. Photograph for Display by Matlyda Krzykowski; Ways of (Not) Displaying by Workshop for Potential Design at Depot Basel; Fundamental rules of Display at Depot Basel.